Self-described as a "TEXGRASS" act, this project dates back to 2012 when songwriters Gerald Thurmond and Eric Woodring combined with Kyle Wright to form a trio -- playing Texas Country Music using traditional bluegrass instruments. After a few years of covering popular songs as the Tableside Troubadours, they set out to create their own tunes along with a rebranding. Mostly sticking with Texas and Americana themes, they continue to write, record, and release their special style of music. The trio expanded over the years to include double bass player, Nils Aardahl, and more recently, fiddler, Alexa Johnson. Live shows are a must see! The Recollection brings a unique look and feel to the stage -- delivering an upbeat Texas-style hoedown jam with each performance. In 2017, they recorded their first EP "This is Texgrass!" at the historic SugarHill Studios. 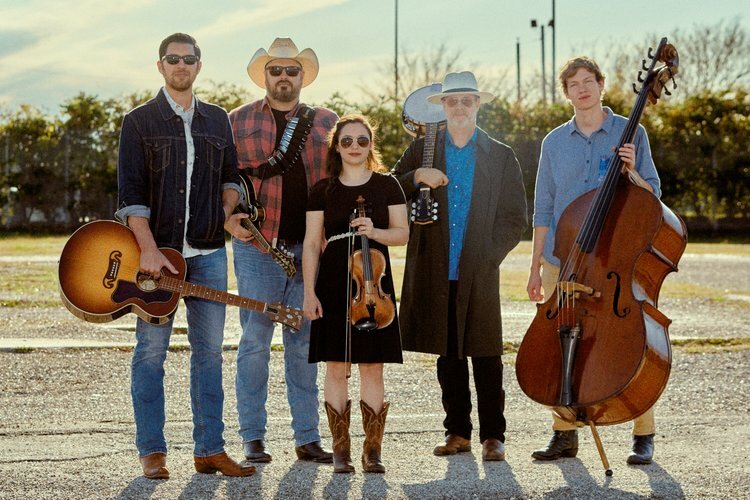 In 2018, thanks to the direction of Texas Music great Lloyd Maines, they connected with Americana music producer Jack Saunders to produce a sophomore studio album titled “True Texas True”. Recording is complete, and release is slated for late 2018.